Did you get all that? 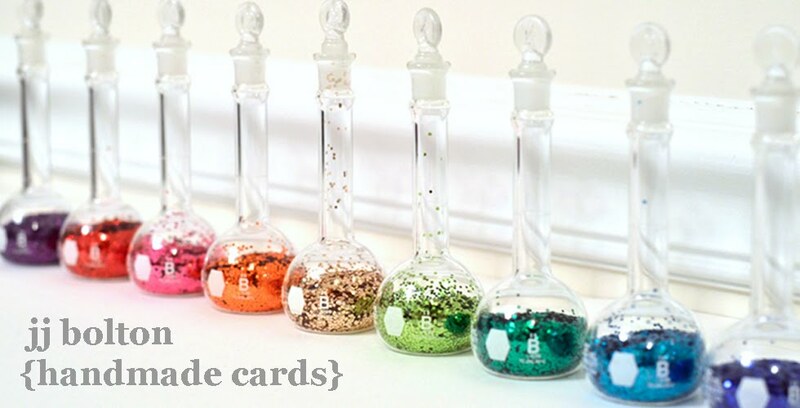 (I need to work on my papercrafting acronyms!) 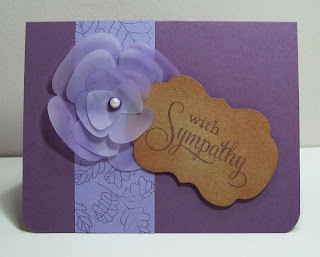 Today I combined the Papertrey Ink Make It Monday #16 project with the CR84FN 29 color challenge. 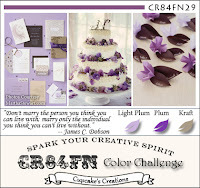 This week the CR84FN colors were light plum, plum, and kraft. 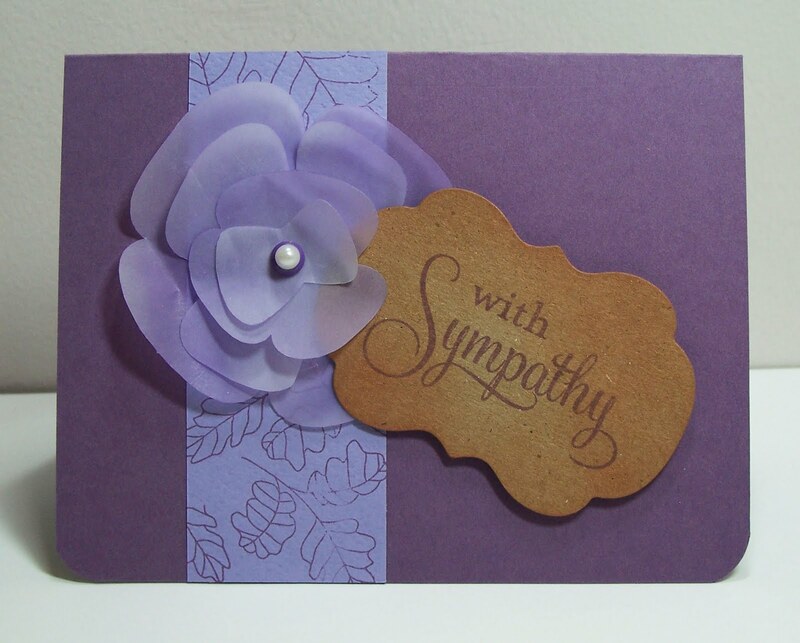 I prefer to work sparse and clean for sympathy cards, so it's a pretty simple card. I did try something new by cutting a 3D vellum flower with my Silhouette. I colored the vellum a bit with the Sweet Plum ink. I'd like to get some paper flower tools (like these) to shape the petals, but I'm happy with this first attempt. I think the vellum flower is lovely and your tone-on-tone panel is really pretty. Lovely clean and simple design. Thanks for playing along with CR84FN this week!